Access to the ANS Video Repository housed on the AAO-HNSF Learning Management System (LMS) - coming soon! 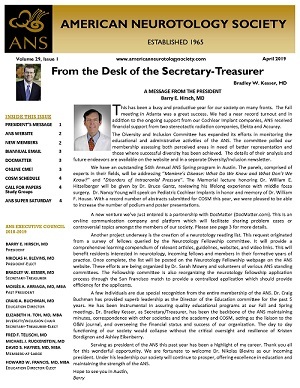 Advocacy - have your voice heard in matters important to otologists/neurotologists at the Academy level (e.g., Clinical Practice Guidelines, Guidelines for Facial Nerve Monitoring), and local, regional, state, and federal government. Ready to join? Complete an online application for membership. Or, if you prefer to apply via mail or fax, you can download the application form and instructions.